As a national Allergan Master Facial Injectables Trainer, it’s no secret that I am a vocal proponent of dermal fillers as an anti-aging tool. Expertly performed filler injections can restore volume in all the right places for dramatic facial rejuvenation with near-immediate results. However, there’s understandable hesitation among many new filler patients. We’ve all seen celebrities with puffy faces or over-projected lips, and you don’t want to look like that! “Trout pout” or “duckface” are telltale signs of an inexperienced provider using outdated techniques, and to avoid these pitfalls, you need to find an experienced provider who understands the structural factors of a youthful-looking face. But how are you to know which injectors grasp the subtle nuances of using fillers to achieve a natural-looking result? This SELF article is a good place to start. It offers 11 tips to help first-time filler patients understand what factors go into getting great results. It deserves a read whether you’re considering your first dermal filler treatment or your fiftieth. I particularly liked tips #4 & #5, which I will summarize here, including some of my own thoughts. “Filler techniques have gotten better”…but how? And what should I be looking for? 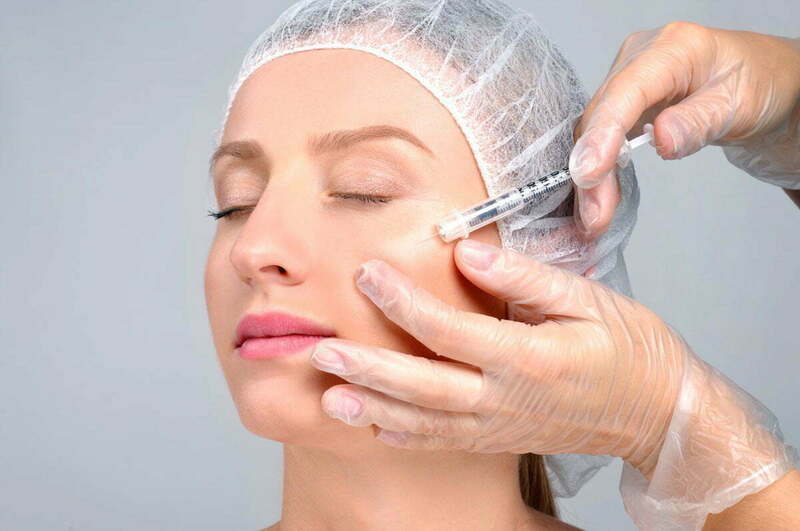 You might think natural results are simply about choosing the right type or amount of filler, but success also largely depends on where we choose to inject. Additionally, the best strategies may even seem counterintuitive to you as a patient. Let me explain. In the beginning, fillers were often injected directly into the exact area the patient wanted to improve, for example the nasolabial folds (a.k.a. smile lines). Experienced injectors now know that to target your nasolabial folds, its a good idea to also use fillers in other areas of the face. Replacing lost volume in key areas, particularly around the cheeks, not only rejuvenates the mid-face, but also elevates tissues below the cheeks. This lifting action has a secondary effect of smoothing nasolabial folds and reducing jowls in a very natural way, helping to counteract an increasingly saggy, “bottom-heavy” appearance even without additional filler to these areas. It also creates a more natural-looking result because your cheeks are likely where you’ve actually lost more volume, and deepening nasolabial folds are simply a symptom of that. I call this “Visualizing the V;” you can read all about my techniques here. Conversely, if an injector only directly injects the nasolabial folds and you don’t have good cheek volume, you are likely to end up with a very unnatural appearance, having added volume to an area that doesn’t typically have more plumpness than the cheeks. Techniques for lip rejuvenation have also improved; Juvéderm’s newer filler options allow me to fine-tune treatment for more targeted lip enhancement, whether you’re looking for dramatic volumization, or no increase at all, just smoothing of vertical lip lines. Visualizing the entire face in a more youthful state is key to beautiful filler results—so choose an injector who fully understands facial structures. I’ve performed filler injections in Denver for over 17 years now. It’s amazing what’s possible with a skilled approach and a keen understanding of principles of aging. That’s why I recommend choosing a board certified plastic surgeon for your treatment. Unlike nurse injectors or many other types of doctors, plastic surgeons have a thorough understanding of facial anatomy inside and out and know the structural elements of an attractive, naturally youthful face. Without that knowledge, we could not successfully perform procedures such as a facelift, and this translates to non-surgical procedures as well. We literally have a surgeon’s eye for detail when performing filler injections. Don’t fear the duck face. Trust your appearance to a board certified plastic surgeon. Don’t fear fillers (and miss out on their many benefits). It’s your choice in provider that matters most for beautiful, natural results, and you have complete control over this decision. Before getting fillers, interview multiple qualified providers, listen to their philosophy, and look at plenty of their results. If you’re in Colorado and interested in learning how fillers can help you achieve a naturally youthful look, I invite you to contact my office. My staff and I at Beauty by Buford in Denver will be happy to address your questions and give you all the information you need at a personal consultation.